Happy Friday friends! 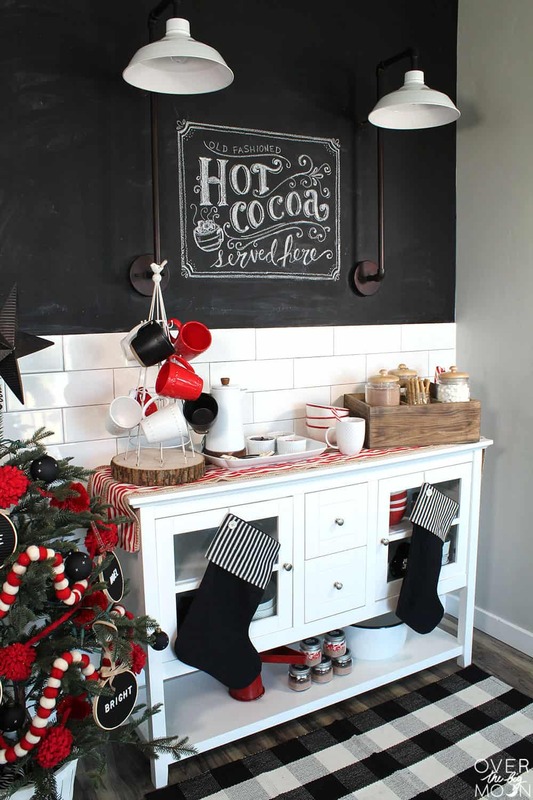 I am SO excited to be able to share this Hot Cocoa Bar with you today! I teamed up with some good friends to put this setup together and I think it turned out so beyond cute! This is perfect for a family party, brunch, a sledding or snow day, Christmas morning or even to just leave up all winter long! I received product in exchange for this post from Tai Pan Trading. All opinions and text are mine. The first thing we did was go to our local Tai Pan Trading and shop for all the goodies! They have such great stuff! 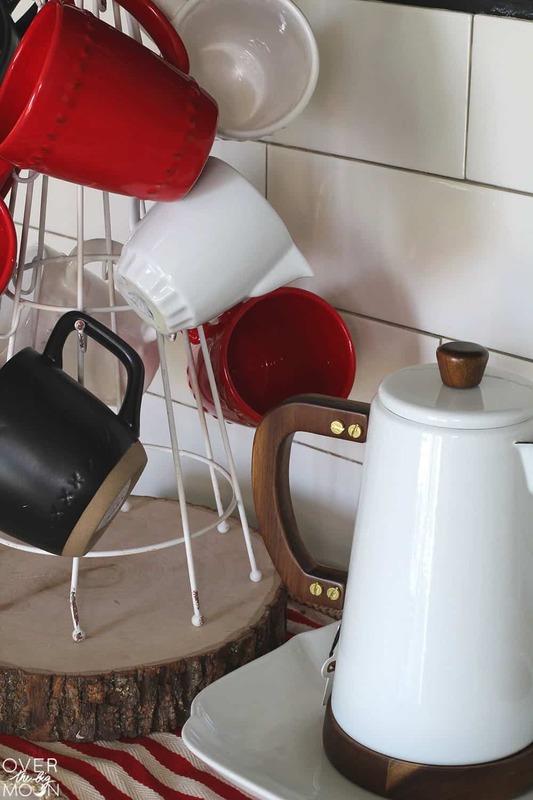 We picked up the hot cocoa mugs and stand, bowls, wood crate, topping jars and the ribbons! 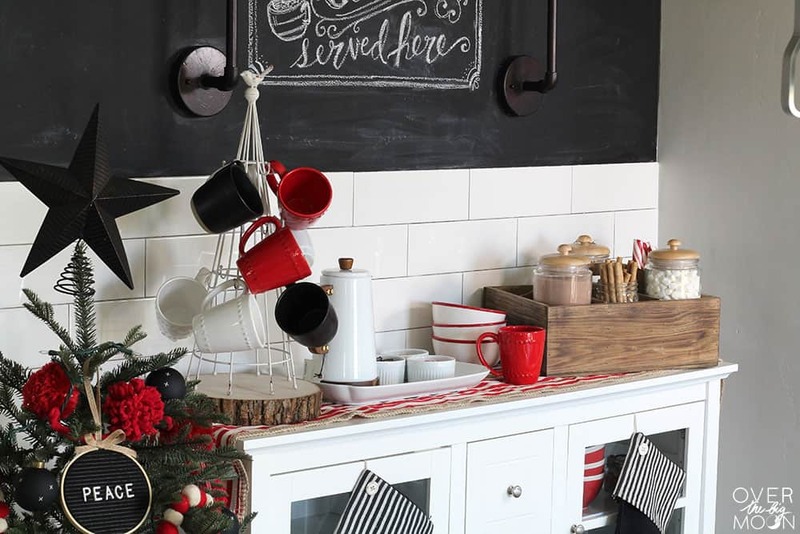 They have so many great things for your entire home! And their show rooms are filled with gorgeous Christmas trees if you’re looking for some major inspiration and need to buy some new ornaments! 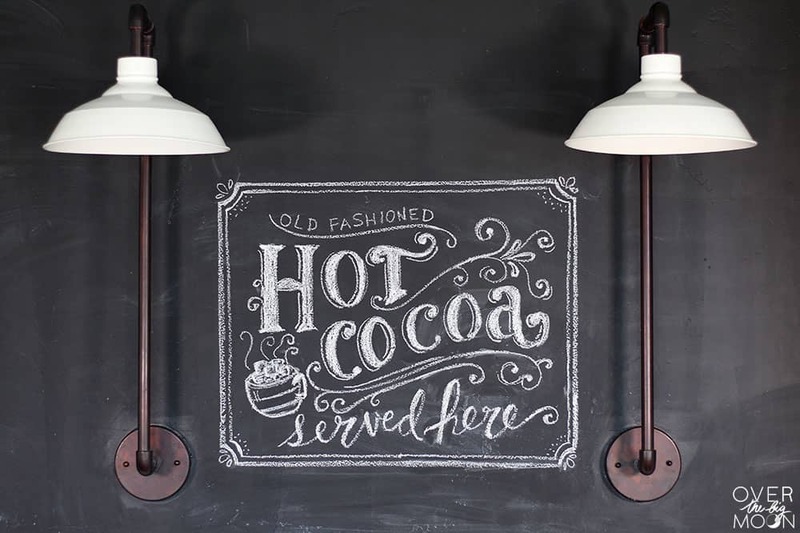 Now back to the Hot Cocoa Bar! We all worked together to choose the toppings and setup the whole table, but then we all added our own person touches to make it extra perfect! Really, the topping options are endless! Those are just a few of my favorite! 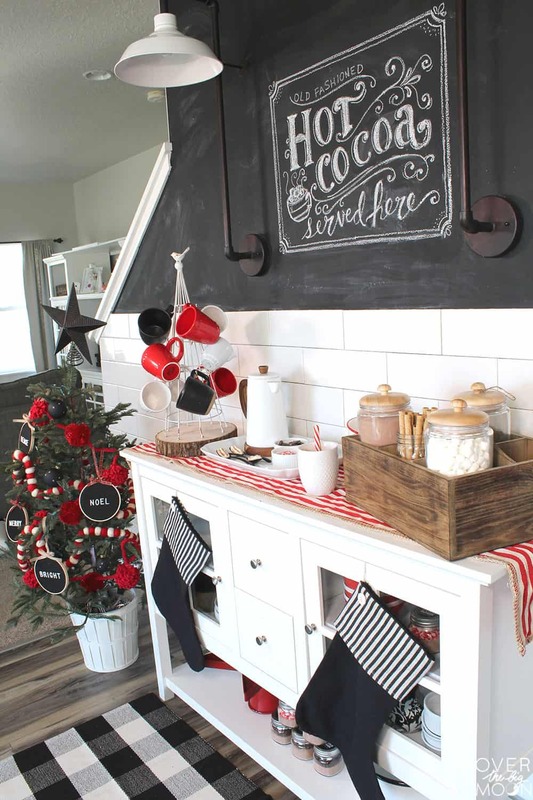 I also fell in love with the new Hearth and Hand Kettle and knew it was a must have for the winter months! And then I also put together my Whipped Cream Spoons! 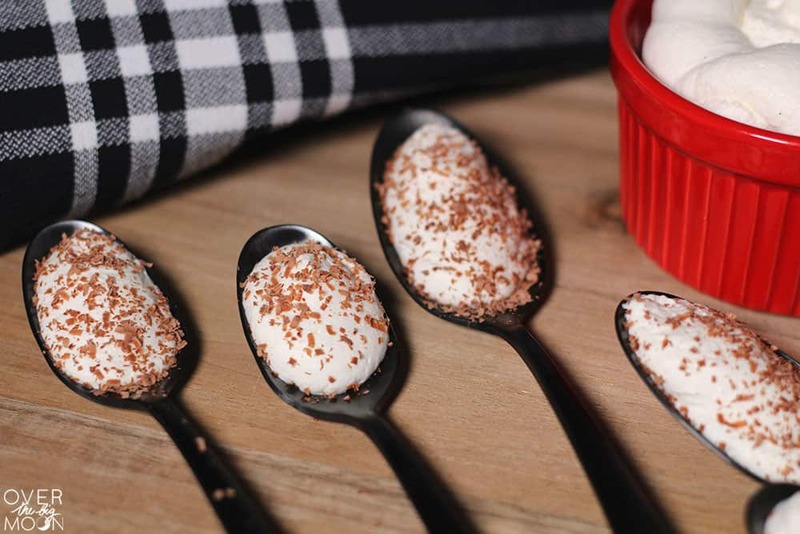 Whipped Cream Spoons are a family favorite around here! When my kids are heading out to play in the snow, I can quickly throw some together, stick them in my freezer and they’re ready for my kids when they get back in the house! I also love that they help cool down the hot cocoa for my kids! 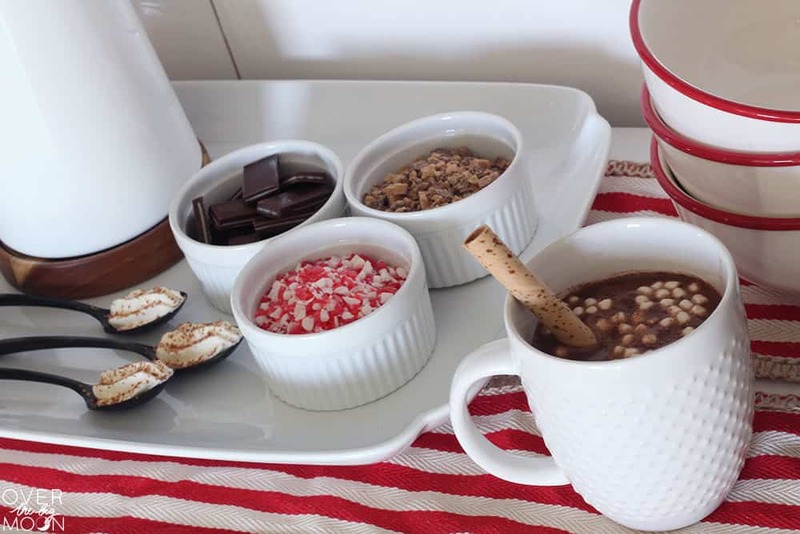 You can find the full recipe HERE with my favorite Creamy Hot Chocolate! 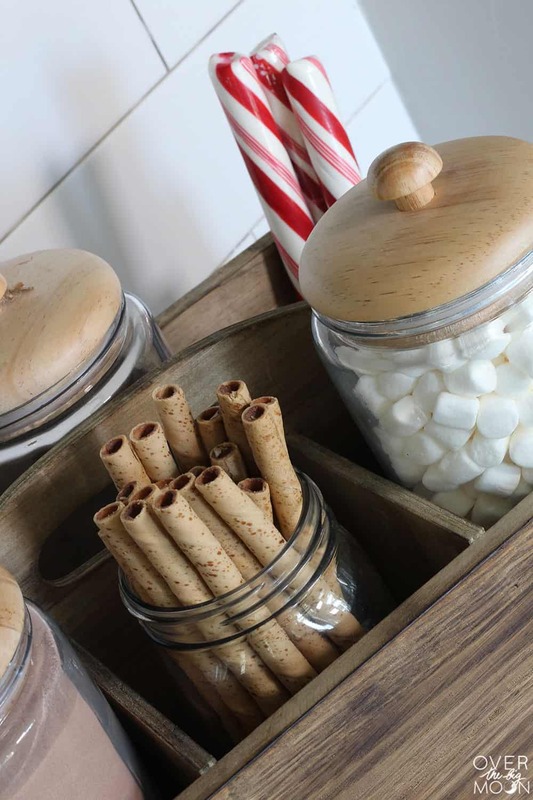 They’re so easy to put together and add a fun extra touch to the Hot Cocoa Bar! 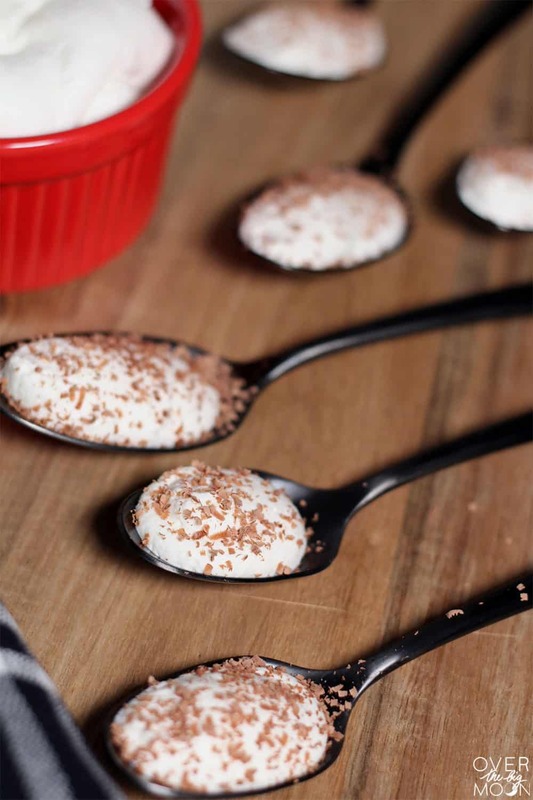 If you don’t have time to put together these whipped cream spoons, check out these fun Candy Cane Spoons! Kids would love these too! 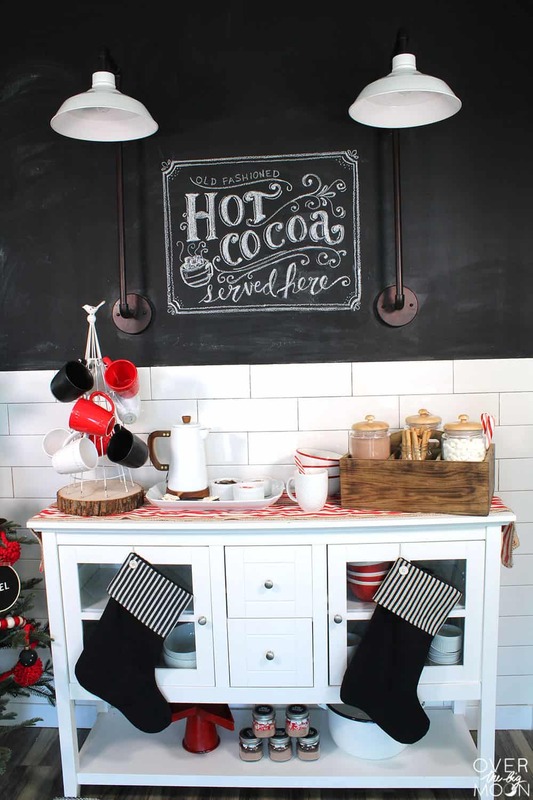 Holly from My Sisters Suitcase put together the chalk art above the hot cocoa bar! She’s crazy talented, right? I literally couldn’t write one of those letters! 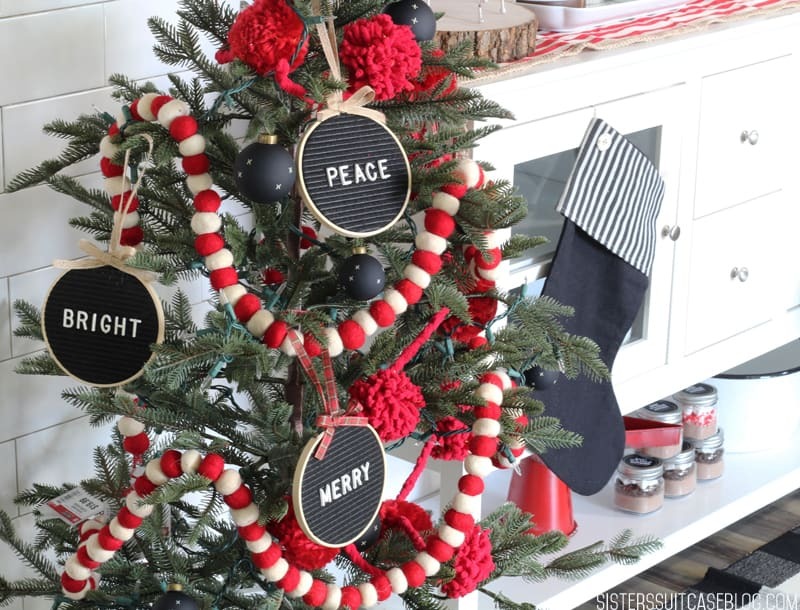 She also put together the adorable Letter Board Christmas Ornaments that are hanging from the Christmas Tree! She has a full tutorial on how she put together the Letter Board Christmas Ornaments that you can go check out here! They’re seriously so good! Amy from Liv and Hope graciously offered her house for this setup! 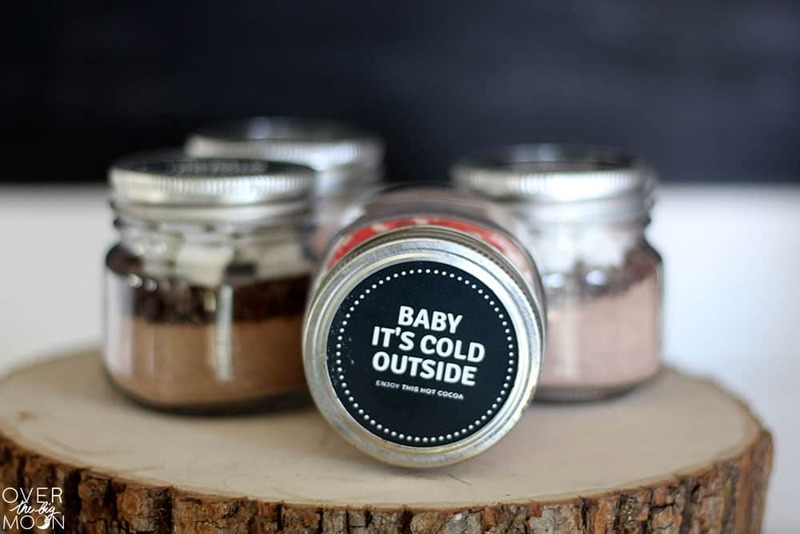 She also put together the cutest Hot Chocolate To Go Jars for the guests to take when they leave! That way they can enjoy some hot cocoa later too! The printable topper is just so perfect for them too! These would make perfect neighbor gifts too! You could also easily fill the kettle with pre-made hot cocoa versus putting out water and a mix. 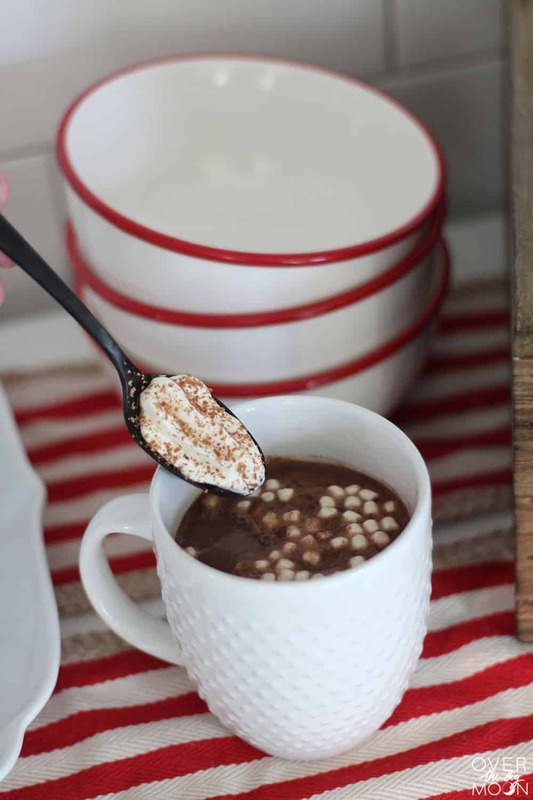 I will be sharing my favorite Instant Pot Vanilla Hot Chocolate recipe next week, but Ashley from Ashley’s Fresh Fix is sharing an plain and simple Instant Pot Hot Chocolate that would be perfect to serve. 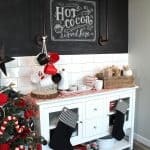 Hope you love this Hot Cocoa Bar as much as I do!! I’d love you forever if you pinned the image below! I used a piping bag! Works like a charm!